Fishing was a little scrappy for us today. It started off great catching our first two wahoo bites but it quickly tapered off. We went a long time before we had another bite and that was just an false albacore. With the conditions being a little choppy we decided to call it a day early in order for my group to catch the Clemson football this afternoon. There was a scattered wahoo bite throughout the fleet. A couple boats hit the Yellowfin Tuna out in the mega deep. Overall the fishing was kind of slow for everyone. 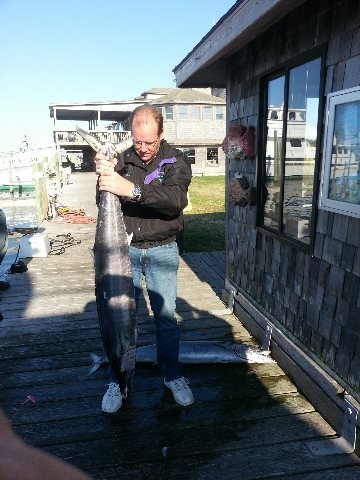 I will be commercial fishing starting next week so hopefully the kings have shown up.